Cdn $40.00 +Kit fee: $25, payable to the instructor the day of the class. 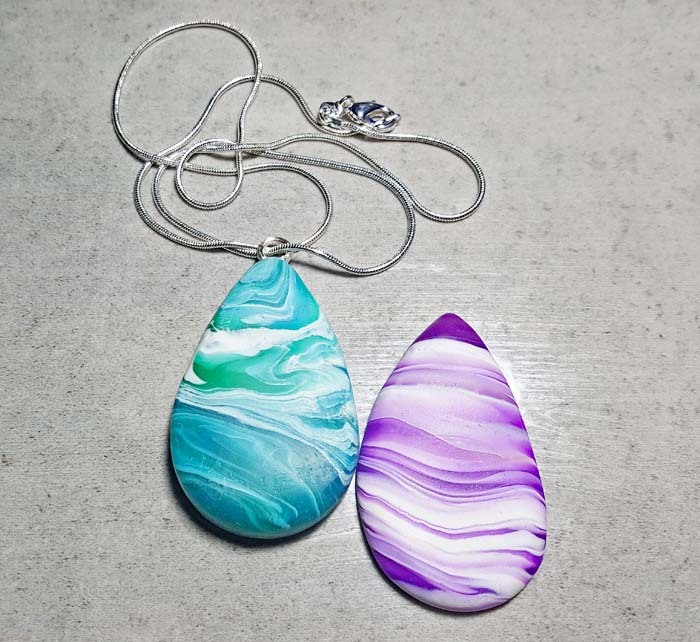 Course outline: This class with Bonni Poch will give you the opportunity to play with polymer clay, get to learn the differences between brands, how to condition the clay, colour blending, working with translucent clay and the most exciting of all, creating pendants and beads that look just like agate stone! You will leave this class with at least one pendant or cabochon, and the feeling of self-satisfaction you get when accomplishing a new task. Come join me for an afternoon of pure polymer magic! Bring to class: The only thing you need to bring is your creativity and willingness to have some fun! $25, payable to the instructor the day of the class. The kit includes all required clay, a lucite rolling rod, a cutting/tissue blade, and detailed instructions with colour pictures.